We hope to provoke a memory, feeling of happiness or even sadness depending on your specific experiences. Pin Drop NYC was created by Jose Vazquez & Jason Brooks, two friends who are native to New York City, but to be fair, the city had just as much of an influence on the brand as anything else. Based on the fashion and streetwear culture of NYC. Pin Drop focuses on the one item of clothing that truly brings everything together, the shoes. Although the company is not solely based around sneakers, it was the appropriate place to start because of the brand creator's borderline obsession with them. 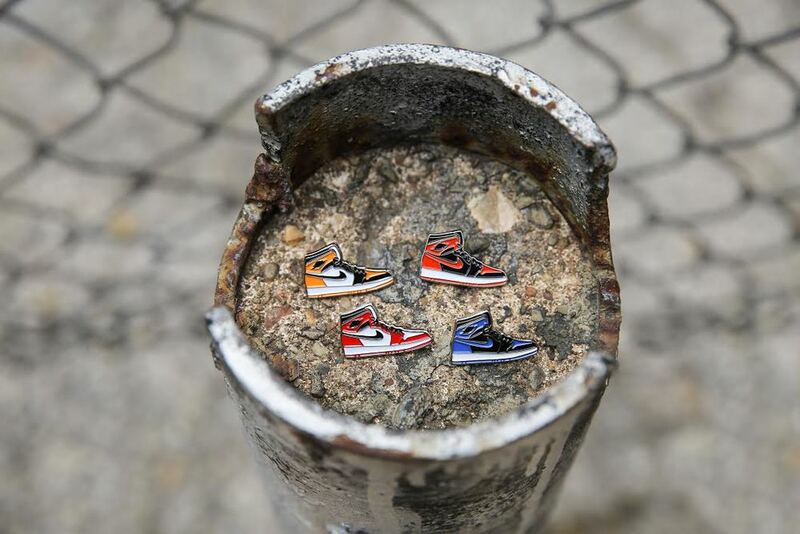 Pin Drop NYC seeks to create and help the buyer hold on to the memory of their favorite shoes or at least buy into the possibility of having a piece of a shoe they could never obtain. That same feeling of nostalgia and buying into the culture can be seen across the board in the pins that are music, fashion and lifestyle inspired. We hope to provoke a memory, feeling of happiness or even sadness depending on your specific experiences. Either way, we want you to feel something. So, how do you Pin Drop?